No More Candy For You! 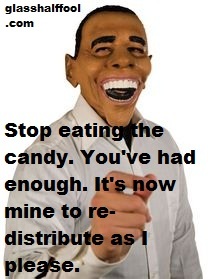 It has been reported that across the USA on Halloween night there was a disturbing rash of trick or treaters accepting free candy and then returning to demand more free candy. Oddly enough, they were all wearing the same costume. If you have seen anyone who fits this description, you are advised…DO NOT give them any more candy!